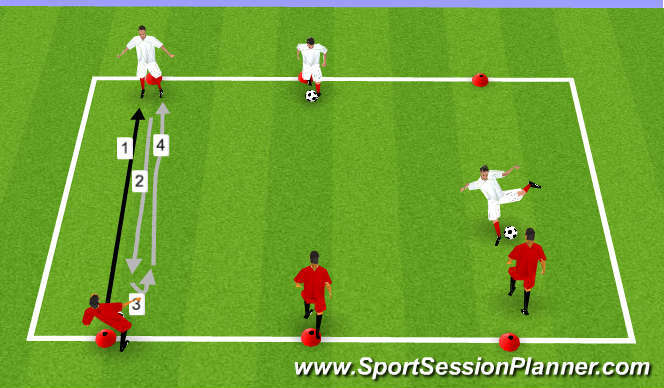 First line(Dark) passes to partner(White) he dribbles into light pressure, turns, dribbles back and passes to partner. Roles immediately and continuously switch. 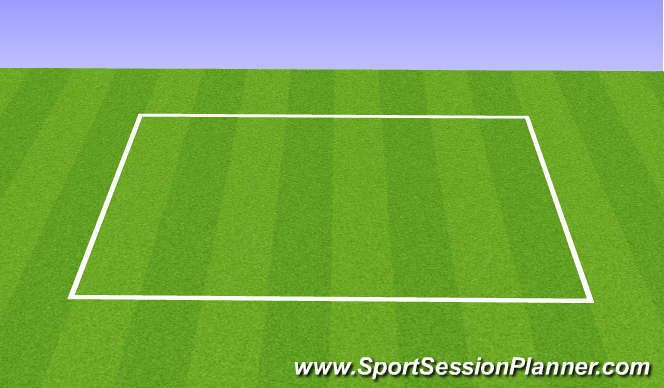 Use pullback/v-move, inside cut, outside cut, cruyff, stepover. Atttacking team(darks) dribble across the field/goal mouth and try to use fakes/feints to create space enough to shoot. Dribbler should use numerous change of directions with always keeping body in between ball and defender. Ball should always be on outside foot in comparison to defender. 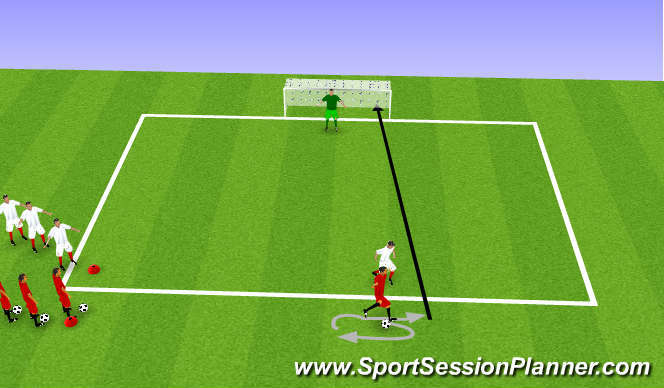 Progression: Next player waiting in line can receive a lay-off pass and take the shot.